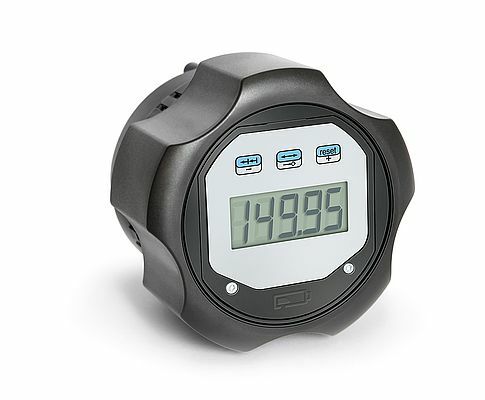 As inexpensive and easy-to-use gauges, SIKO handwheels with integrated position displays reliably perform a variety of tasks ranging from roll positioning, aligning limit stops and tools, to manual metering settings. The DKE01 adjustment knob has an LCD with user definable values, allowing widespread applications. Allowance for offset values and a reset button further expand the range of uses. Powered by a standard coin battery, the knob’s energy-efficient measurement technique allows eight year operation between battery changes.